Giving your customers the best shopping experience is the first step to a successful e-commerce business. If your online store or e-commerce business is running on Magento platform then I bet you are aware of the benefits of having a strong effective online presence. However, the success of your online store will depend on how powerful your Magento ecommerce software is. There are many vendors offering Magento ecommerce solutions and as a business it is mandatory to go for the one that offers the highest reliability and functionality. Amongst the top providers of Magento ecommerce solutions, Amasty provides some of the best Magento extensions. Amasty Review – Why Amasty eCommerce Solutions for Your Magento Online Store? With the ever changing eCommerce market and user’s requirements as well, it reaches a point where an online store is forced to enhance its Magento platform to stay abreast with the market trends. With over 150 extensions, Amasty provides the widest variety of complete, top quality Magento extensions, developed to help in building and managing an efficient and successful online eCommerce store. These extensions from Amasty are professionally tailored to increase the features and functionalities of a deafualt Magento store so as to meet all the needs of a merchant. From SEO optimization tools, User Exeperience improvement tools, catalog management, product management to system administration services, you can expect to find all the plugins that you need to enhance your online store at Amasty. Unlike any other Magento ecommerce solutions provider, Amasty takes the initiative of proving the quality of their extensions to ensure that clients get their money’s worth. Once you select the Magento extension you wish to acquire, you get detailed description of that particular extension with vivid screenshots and user manuals to give you a clear understanding of that module’s functionality. Furthermore, there is a live demo for each module which allows you to practically test the functionality of your chosen Magento extension. The plugins are carefully arranged in categories whereby you can easily open the appropriate category and select the extension that you desire. So, whether it’s a powerful SEO tool or any other extension, you can be guaranteed to get it at Amasty without having to seek another vendor. Statistics show that users tend to gravitate towards faster web sites. Therefore, overlooking the impact of performance tuning can be detrimental to the competitiveness of any online store. While Magento in its default state is pretty fast, it’s performance tend to slow down as the site expands unless it is tuned for effective overall performance. Such performance gains can be achieved by implementing a number of extensions developed specifically towards speeding up some unique aspects of a Magento site. Keeping this in mind, Amasty has developed several new Magento 2 extensions to enhance productivity, improve user shopping experience and make an online store much more stable. They offer a wide range of Magento performance optimization services that are bound to speed up your website and help keep all important data timely updated. 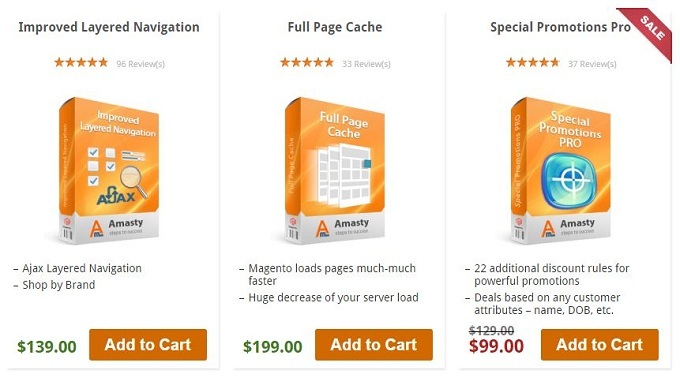 Magento server optimization is perhaps one of the most outstanding performance tuning extensions from Amasty which I believe is a must have for any online merchant that wish to speed up their website. 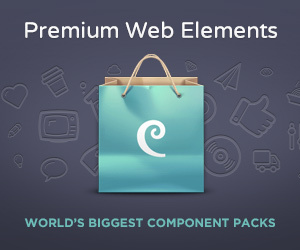 If you are looking to increase conversions to your online store, then you will have to consider adding some of the performance tuning extensions provided by Amasty. To ensure up-to-date functionality of your Online Store, Amasty provides regular updates as well as new features. These minor fixes and improvements are vital since they help to bring your store up to speed with the latest ecommerce market trends and as such, keep your store attractive to customers at all times. In addition to regularly making their extension better, Amasty also offer a unique set of free Magento extensions in a bid to showcase the quality of their paid modules. 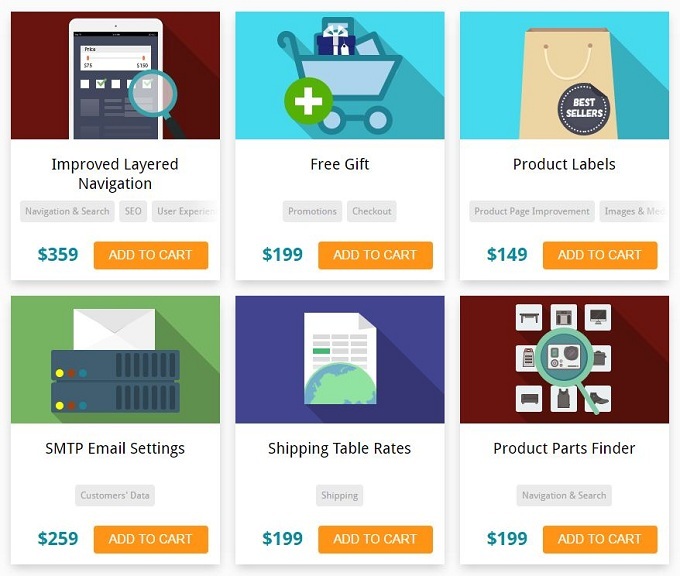 These free Magento modules give you the chance to optimize the content of your online store as well as enabling you to effectively manage your store. 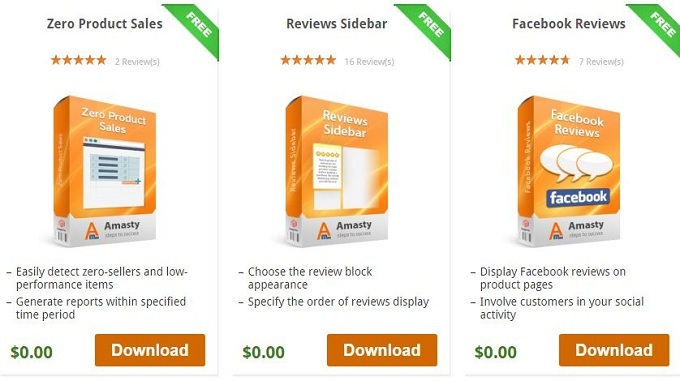 As far as content management is concerned, Amasty’s free Magento modules give you the opportunity to make your online store look more credible by displaying the blocks with customers’ reviews. This feature allows visitors to your store to share their opinions with others which can help your potential clients to make more informed decisions. Furthermore, Amasty offers a free extension that helps to draw user generated content to your social media sites such as Facebook which ultimately builds awareness about your store. Unlike the other vendors, Amasty provides prompt responses to customer queries and inquiries. They have customer support system and uniquely address each case separately so as to provide the best solution as fast as possible. The support team is made up of certified Magento developers who are commited to taking care of their customer’s needs. In developing their Magento extensions, Amasty takes the customers feedbacks in to consideration and use the information to update their modules according to the needs of the customers.The support team is efficient and if you happen to purchase any module from Amasty, then you can be assured of immediate assistance should have any questions or need help to adjust the Magento extension you’ve acquired. Each of the above listed categories of modules includes several other sub-modules professionally tailored to help in building and managing an efficient and successful online eCommerce store. The modules and plugins are compatible with both Magento 1 and Magento 2 versions. If you are looking to enhance your Magento platform, to increase conversions to your store and boost sales of your products and services then, Amasty Magento extensions might just be what you need.